The May Campout & Meeting will be held jointly with Sewanee Mountain Grotto at Cavers Paradise. 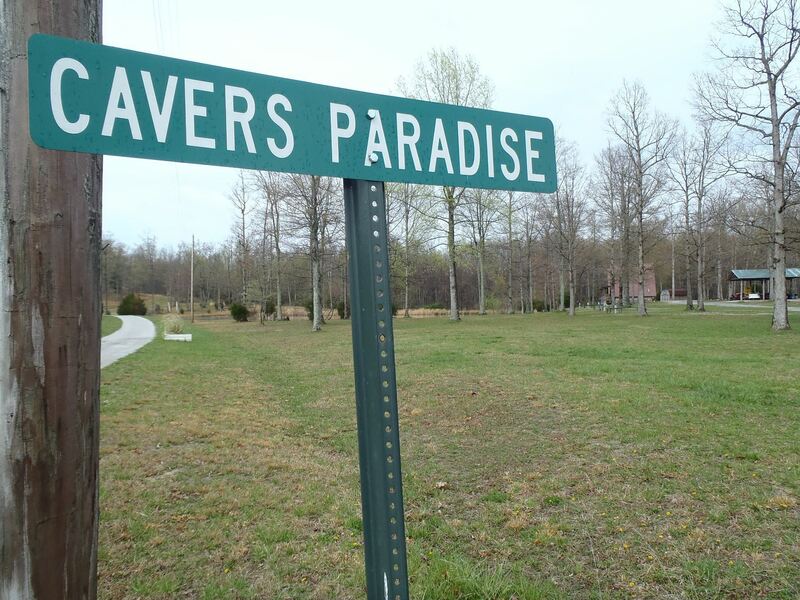 Cavers Paradise is a caver owned campground in the heart of TAG nestled on top of Sewanee Mountain. Free Camping is available Friday and Saturday night for Active DCG Members. Non DCG Members will be responsible for the minimal per night fee. However donations to the owner of the campground are welcome. There will be led trips throughout the weekend. Check the event calendar for more information on led trips. A tradition of the SMG always does a potluck prior to their meeting and they have invited us to join in. It is a BBQ Theme Potluck Dinner that will begin prior to the meeting starting. The Dinner will begin at 7:00 Eastern / 6:00 Central and the meeting will follow. All are encouraged to bring a dish or use one of the many grills at Cavers Paradise to cook. WDW is 1,300 feet long and consists of dry passage that ranges from short crawls to breakdown. There is also a large formation and Andy Zellner mentioned the cave is worth seeing. This is an advanced vertical trip. Plans are to rig the 123-foot in-cave pit and the broken 103-foot surface pit to attempt it as a through trip. Meet at the Stevenson Depot at 10:00 AM EST / 9:00 AM CST. From the Depot we can car pool to park a few cars near the cave for the hike. Please contact Julie via email at jeschenck@hotmail.com or call/text 256-599-2211 if you have questions. Anne Grindle will be leading a trip to Sweet Pot! Vertical cave, trip limit 6, meet at Caver's Paradise at 9am central. Wetsuit encouraged! Kim Hodes will be leading a horizontal trip to Bluff River Cave! It is a nice big borehole cave with a little water but not much- great for the kids! Meet at the Kimball Park'n'Ride (next to Krystal) in Kimball at 9am central. Located in Sewanee Tennessee on top of the Cumberland Plateau and Borders the 17,000 acre Franklin State Forest. Hang ‘Em High Cave, a 7 pitch multi drop down 500 vertical feet, is a 20 minute hike away. Paddle trips to the bat flight at Nickajack Cave. 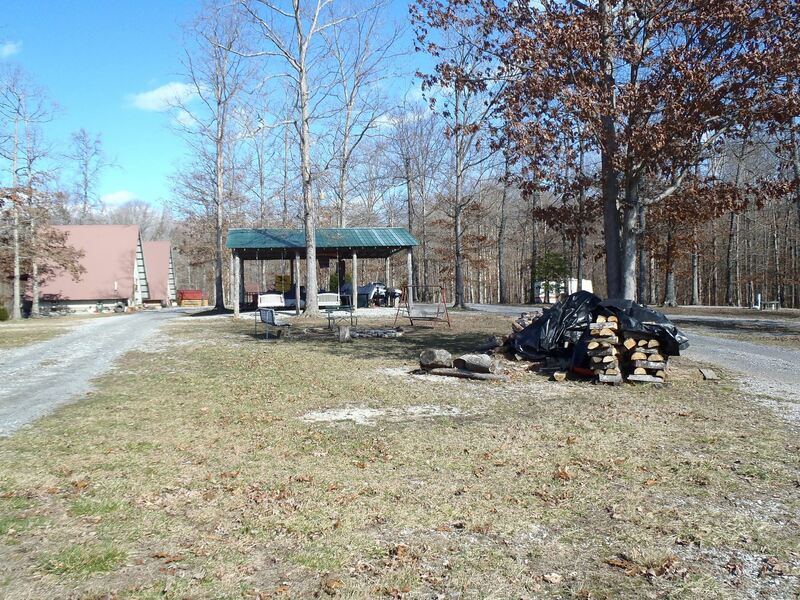 The 10 acre site has 11 RV hook ups, a party pavilion co-ed bath house, and volleyball court. Lots of level, shaded tent camping and a fishing pond. Verizon is the only reliable cell service. There is NO WIFI. Open to cavers and personal friends of the owner. 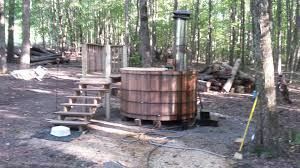 Wood fired hot tub and sauna available for groups. The campground is not open to the general public. The site is open for events such as family reunions and weddings. Basic camping usually costs $5 per person per night. Current DCG members will be able to camp for Free Friday and Saturday Night of the campout. Go west on I24, exit 143, Martin Springs. Go left at the top of the ramp over the highway then left again onto Co Rd 2. Go 2 miles and turn right onto Stagecoach Rd. There is no street sign, but the road immediately starts climbing the mountain. Go 4.5 miles to the top of the mountain. Stay right on Stagecoach at the top. DO NOT turn left down Jackson Point Rd. Go 1 more mile and turn left onto Old Sewanee Rd. There is no street sign. It is the first paved road on the left after you pass Jackson Point. Go 1 mile down Old Sewanee Rd to Wildheart Lane. Turn right and go to the end of the road. Turn right and then bear right into the campground.